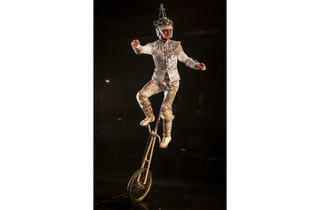 Lookingglass Theatre Company. Adapted and directed by David Catlin. With ensemble cast. Running time: 1hr 40mins; no intermission. 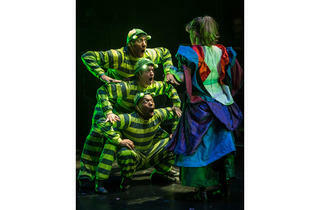 In Lookingglass Alice, the audience steps into Wonderland the second they enter the theater. 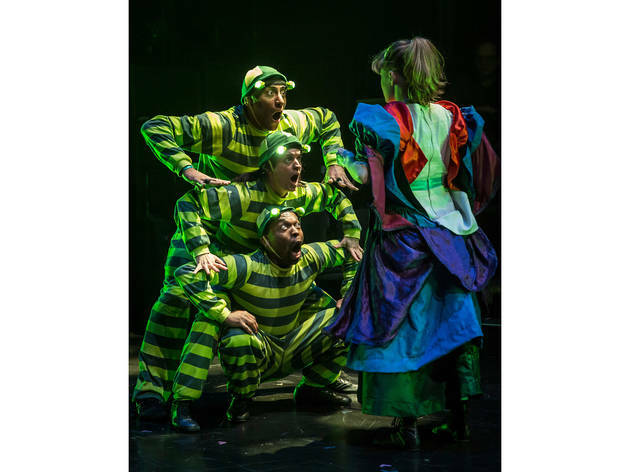 This is a space where anything is possible with the right amount of imagination, and the cast and creative team behind this Lookingglass staple have a lot of imagination. 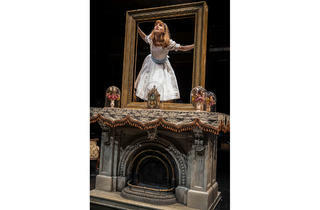 Adapting Lewis Carroll’s Alice’s Adventures In Wonderland and its sequel, Through the Looking-Glass, and What Alice Found There, David Catlin’s creation has had many lives since debuting in 2005. 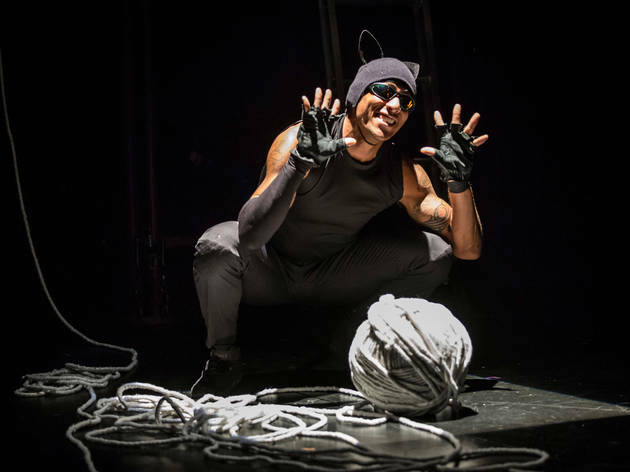 It’s received a number of Chicago remounts, and has also made its way across the country to introduce new audiences to the theater’s aesthetic. The company’s name is in the title of the show, and the piece is truly indicative of what Lookingglass does best with its high-flying acrobatics and revisionist take on a classic story. 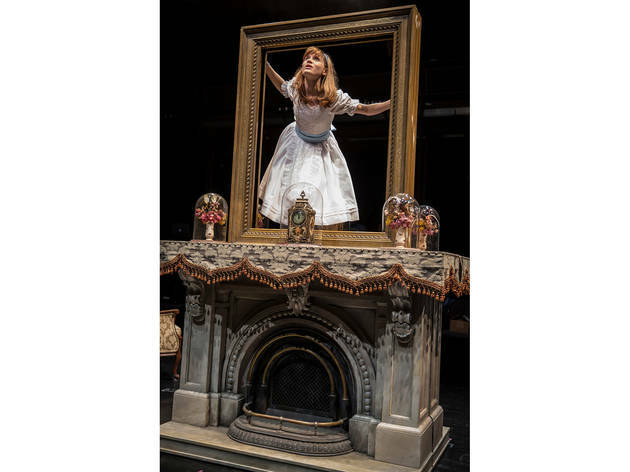 The newest remount of Lookingglass Alice moves like a finely tuned machine; every member of the cast has been in a past production of the play, and they make their way through Catlin’s physically demanding staging with ease. There’s a legitimate sense of wonder as Alice (played in the performance I saw by Lindsey Noel Whiting, who alternates with Lauren Hirte in the role) makes her way into this Brechtian dreamscape, one that doesn’t shy away from the fact that this is all a performance unfolding for a live audience. Daniel Ostling’s stripped down set design makes the main floor an empty area where magic can happen at any time; using sheets of fabric to create a water effect is something Lookingglass has done before, and it’s as effective as ever here. 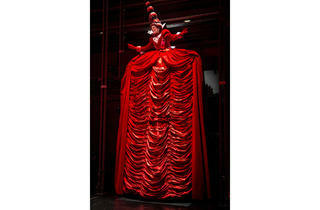 Christine A. Binder’s dramatic lighting heightens the fantasy, particularly in the moment when Alice first makes her way through the looking glass, and Mara Blumenfeld’s costumes whimsically reflect the characters’ personality in their designs. 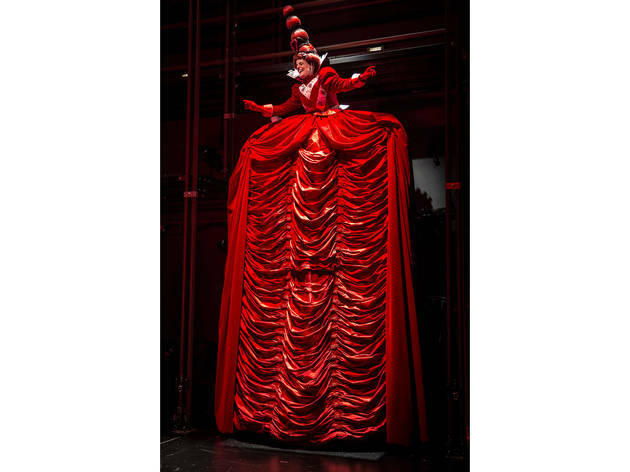 Molly Brennan’s larger-than-life Red Queen puts herself above all others, so in her first appearance, she’s wearing a towering dress that positions her high in the air while Alice is down below. 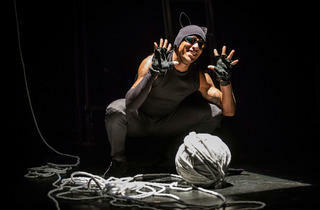 That aerial space is where the production has its best moments. 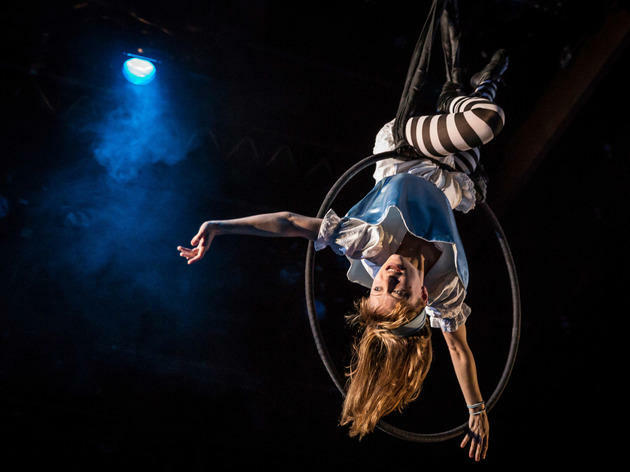 Alice’s story climaxes with the heroine performing an intricate routine hanging from ropes high above the audience, and Whiting brings an intense emotional undercurrent to the dramatic movement. The production loses a bit of steam in the second half during the tea party hosted by the Mad Hatter (Kevin Douglas), which becomes repetitive as the chaos goes on for too long, but that acrobatic Alice scene accelerates the momentum heading into the final moments of the script. 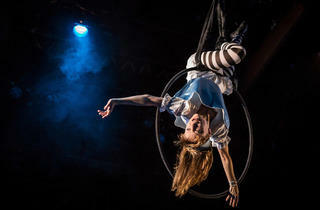 While engaging for all ages, Lookingglass Alice is a show that's heavily targeted to children, making it great holiday entertainment that doesn’t cover the traditional holiday theater bases. Themes of compassion and selflessness come into play, but this is a story about imagination first and foremost, exploring different levels of creation as it delves into the mind of a child, the novels of an adult author, and the work of a theater company. There’s a lot to take in, but it’s presented with a lively energy and sense of humor that pulls the audience into the action, making this an immensely satisfying trip down the rabbit hole. It's a children's play which I wish I would have known before.